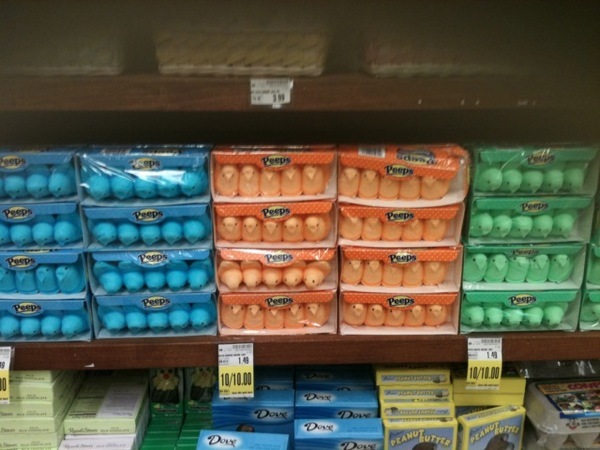 Whose idea was it to take the perfect Easter candy and make them into…orange and green and blue THINGIES? My mallow Americans, I ask you: do you plan to stand by idly why EVIL FORCES work to undermine OUR MOST SACRED TRADITIONS? DO YOU? Well, DO YOU??? And every fluffy candy rife with refined sugar, whereunto any of them may be, whatsoever is blue or orange shall be unclean; and you shall not eat it. 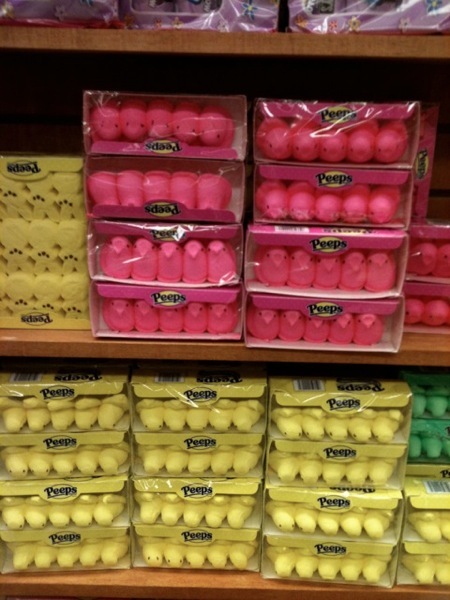 God’s way is to respect the holiest of unions, that of yellow peeps in little soldierly rows, or, alternatively, pink peeps in little Gay Pride parade rows. Those are good enough for anybody.